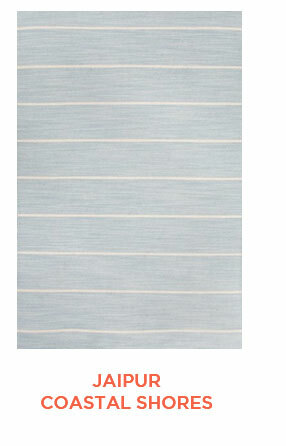 WHAT ARE POPULAR HUES OF BLUE RUGS? 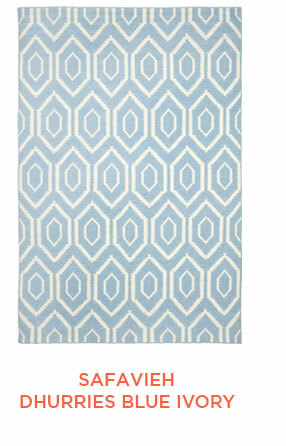 Blue has always been a timeless color to design with. 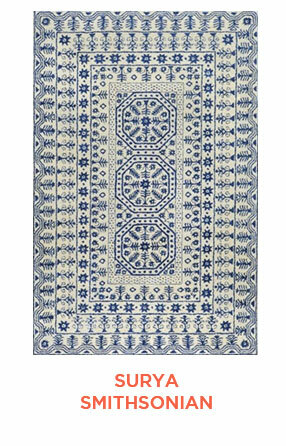 Right now there are several trends in blue rugs that provide updates to its classic hues. 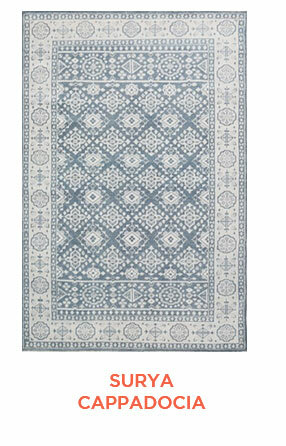 There are great mixes of blues with gray for a soft, subtle color palette. 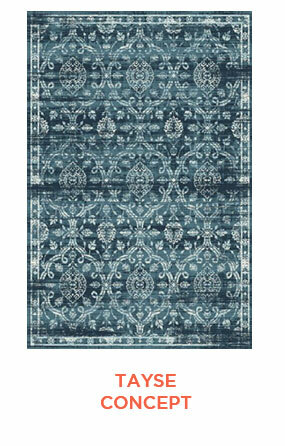 There are also beautiful bohemian style rugs in cobalt and teal that offer a pop of color in an otherwise neutral space, and light blues in geometric shapes provide pretty contemporary rugs. These popular hues of blue are an easy way to transform a dated space in to a fresh, crisp new look. 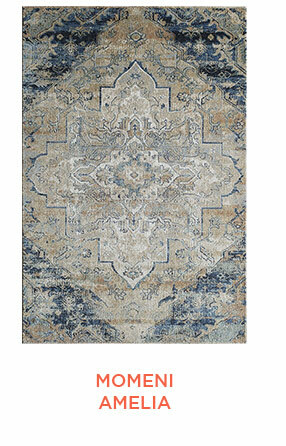 Blues work well in coastal to eclectic, bohemian designs. 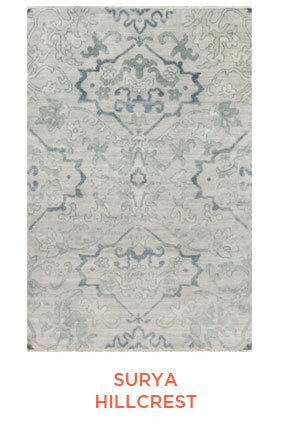 I like to layer blue rugs with white or other neutrals, using the rugs as the pop of color in the space. In the master bedroom of the beach house I designed below, the light blue, geometric rug adds subtle, pretty color to the room. 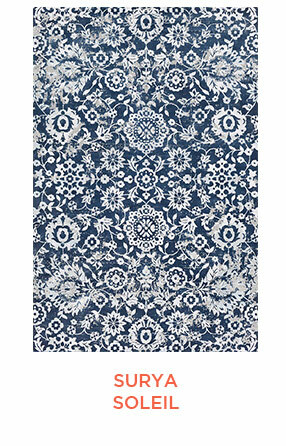 Consider an overdyed or ethnic inspired rug in a bold cobalt or bright indigo hue paired with mid-century chairs to create a modern eclectic living or dining space. 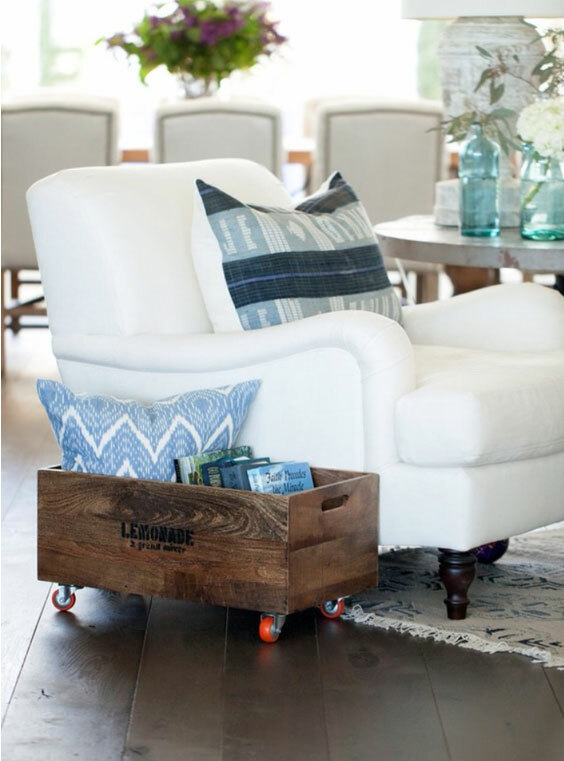 These popular hues of blues will create a timeless look with an unexpected twist. Try not to "over design." What do I mean by that? Websites such a Pinterest can be both a blessing - and a curse. Use them as a resource to find what you like and are drawn to for new ideas, but don't try to put every image or idea you like into a single room. You want your home to feel curated and unique, not like you went out and bought all of it at once. For model homes, this approach works out of necessity. But for the place where you live, there must be the unique, personal touches that make it your own. For more home decorating tips, please visit my website, beckiowens.com.